Ever wonder what household green waste is, where it goes, and why it’s important to properly dispose of it? An Australian resident is responsible for approximately 400kg of household rubbish every year, 180kg of which is comprised of recyclable food and garden waste. Green waste must never be placed in standard waste bins but must be properly disposed of in green waste bins. 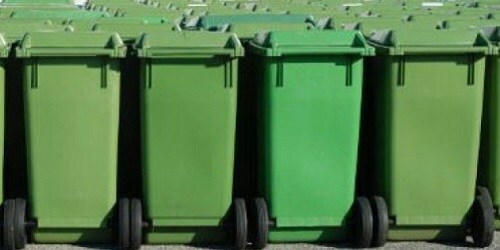 Rubbish contained in standard waste bins goes to landfills. When the 180kg of green waste ends up in landfills, gas emissions will increase. Every kilogram of organic waste will contain enough carbon to yield about 0.17kg of methane. In the landfill, green waste is broken down without oxygen. Around 50% of carbon can be converted to methane. Hence, every Australian resident is responsible for the emission of 15.3kg of methane every year. Carbon dioxide and methane are greenhouse gases, which are among the fundamental causes of the greenhouse effect, leading to global warming and climate change. What Must Go Into the Green Waste Bins? You must not place rocks, treated timber, plastic bags, potting mix, flower pots, cardboard, paper, general rubbish like batteries, building materials, and dead animals into the green waste bins. Still, plastic bags find their way into these bins, which costs most waste management firms both time and money. This also has a negative impact on the environment, most especially when it gets mixed into compost. Where Do Green Waste Bins Go? After the green waste bins are collected, they are brought to a customised green waste processing facility. They will be sorted in here by hand, removing things and rubbish that do not belong in the bins. After that, the rubbish is passed through a gigantic grinder and laid out in rows, which will then be covered with a thermal material. This thermal material will stop the stink and help regulate the temperature. For three days, these rows will be heated to kill pathogens, weed seed, and pests that might be present in the rubbish. 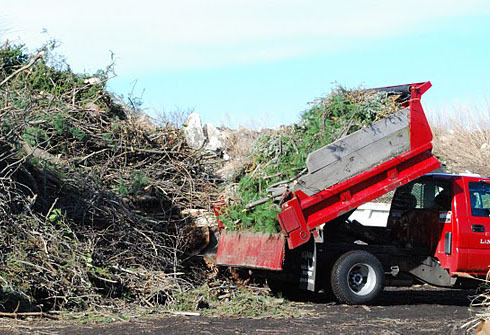 The composted green waste will then undergo a cleaning process – the ferrous metals such as stainless steel and iron based alloys are removed using large magnets. The green waste will be graded based on size – the big pieces are sent back to the grinder. The end product of this entire process is compost, which can be sold back to gardeners and landscapers. Australian residents must be serious about properly disposing of their garden rubbish. Compost and recycle everything that you can. Most importantly, use your green waste bin.